2011 sure flew by for me…so here’s to slower paced (not likely) and productive 2012! Happy New Year!! You certainly have had a very productive year. Happy New Year to you and your family Allison. A fabulous year of sewing! Happy New Year! Oh, also, I made your sprockets pillows…Loved them!!! You keep me inspired, love your patterns and all your enthusiasm. Happy New Year! WOW!! How do you get so much done? I'm totally impressed!! WOW so many beautiful things. Wishing you a wonderful and creative 2012. I just discovered you blog and love it. Can't wait to see what you make next year! What color and beauty!! Love that collage. SO much work represented there. It is always so inspiring to visit your blog, and seeing all those projects together is wonderful! I wish you the best in the coming year! 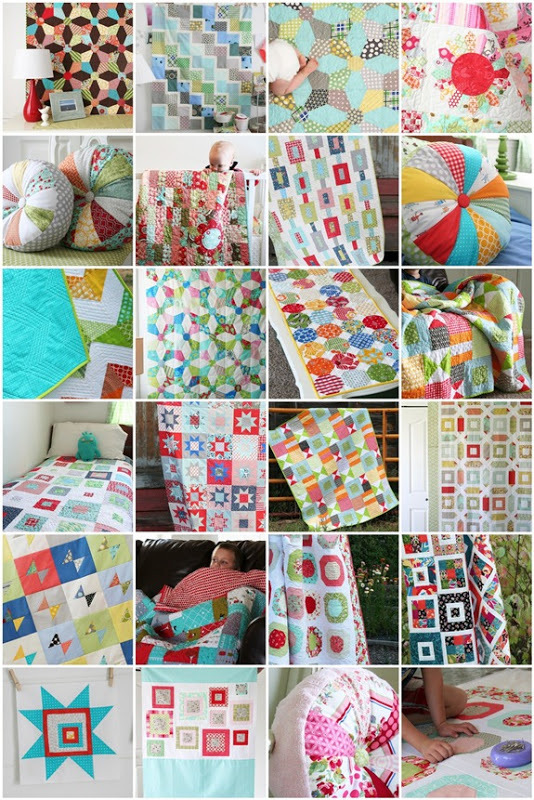 What a lovely collection of quilts! Can't wait to see what 2012 brings. Happy New Year! Wow! What beautiful quilts! Here's to a great 2012! I love, love, LOVE! Everything you made this year. As always, thank you for sharing. Yay for a productive 2011, and on to 2012. I'm right there with you!!! Quite the mosaic! Also, my mother loved the Seville quilt I made her for Christmas. Loved it. What a great collage! Here is to a happy and creative new year. love seeing your go-to color palette in the mosaic. beautiful!